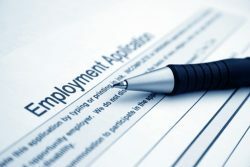 Over the last week of January, roughly 253,000 Americans filed for unemployment benefits. This is an increase of 53,000 workers over the previous week. 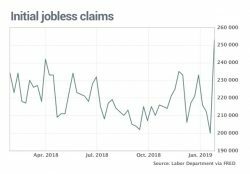 Economists are speculating this increase is due to several factors including the government shutdown and shedding seasonal jobs following the holiday season. The government shutdown was temporarily suspended with an agreed upon deadline of February 15th to reach a spending agreement to keep the government open. Many are anticipating this spike to be short-lived if the government remains open. According to ADP 213,000 new jobs were created in the month of January. Although there are signs of the economy slowing, the government maintains that the labor market is the strongest it has been in decades. If you are struggling to rebound financially after the government furlough or a period of unemployment, contact your local Fairfield bankruptcy attorney.